Idaho allows you to complete your divorce without an attorney if you and your spouse can come to an agreement on what to do with your property and how you will care for any children that you have. The person filing the divorce (the Plaintiff) must have been a resident of Idaho for six (6) weeks immediately preceding the filing of the Complaint for Divorce. Idaho allows a no-fault divorce on the grounds of irreconcilable differences. You file a Complaint for Divorce and related documents. Your spouse completes an Acknowledgment of Service, which you file with the Clerk of the District Court. After the 20-day waiting period, you file the Sworn Stipulation for Entry of Decree of Divorce and related documents. Once the judge signs the Decree of Divorce, the court will mail the Decree to both parties. A court hearing is not required unless the judge decides one is necessary. DivorceWriter provides forms specific to the state of Idaho that are guaranteed to be accepted by the Court. 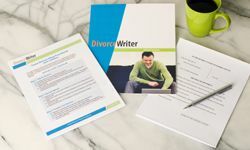 You have qualified to use DivorceWriter to complete your Idaho divorce papers online. Select "Continue" to start the interview.